Online ordering menu for Fuji Yama Sushi Bar. 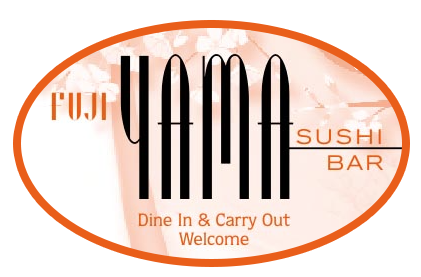 Come to Fuji Yama in Reisterstown, Maryland where we serve Sushi and Japanese cuisine. Our menu features salads, Udon, and Soba. Don't forget to try our tasty desserts such as Fried Ice Cream and Fried Cheesecake. Find us east of I-795 at the corner of Cherry Valley Road and Reisterstown Road. We're right by Roaches Run Park. Order online for carryout or delivery!